Following a hectic tour of Warsaw and Deblin, which was mainly aimed at exploring areas of defence cooperation, we got a welcome break for a couple of days at Kraków, the cultural capital of Poland located in the far south. ‘Krakuf,’ we were reminded about the knotty pronunciation by the well-informed Second Secretary in the Pak Embassy at Warsaw, who was accompanying us. Soon after checking in at Garnizonowy Hotel, we took a walk along the Planty, a lush green belt that forms the perimeter of the inner town known as the Centrum. There can be few places better than Planty to learn what happens in spring and here we were, in the middle of April, with flowers abloom and squirrels darting about in the oak trees that abound. Lahore’s well-maintained Lawrence Gardens, along with several others, come to mind, though Planty is far more extensive in area. Numerous monuments and statues dot the park, but one needs a good dose of Polish history and culture to make any sense of them. Kraków rose to prominence in 1038 when it became the seat of the Polish government under Duke Casimir I of the first Piast Dynasty. By the end of the century, it had become the leading city of trade and commerce. The Mongols ravaged the city in 1241 and it was later rebuilt completely. It survived two more Mongol onslaughts, thanks to defensive fortifications that had been built in the wake of earlier attacks. 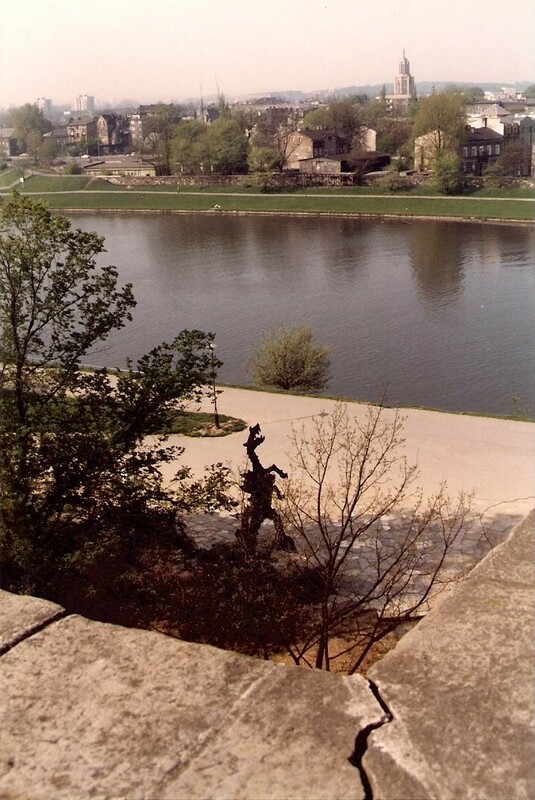 The last King of the Piast Dynasty, Casimir III the Great, ordered the building of the Wawel Castle over the ruins of an earlier fortification. 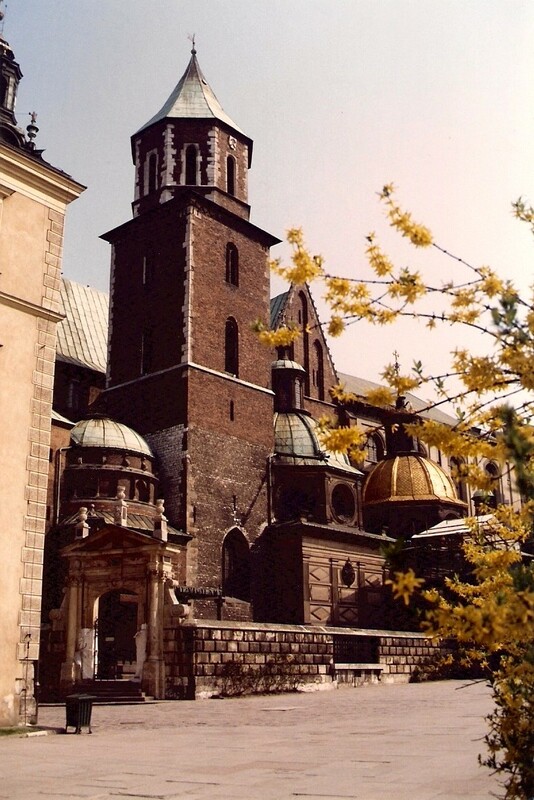 Today the castle, much rebuilt, stands out as the most famous landmark of Kraków. After a good night’s rest and a carefully selected kosher breakfast next morning – for pork closely follows God, Honour and Fatherland in Polish dogma – a few of us history buffs walked down to the nearby Wawel Castle. 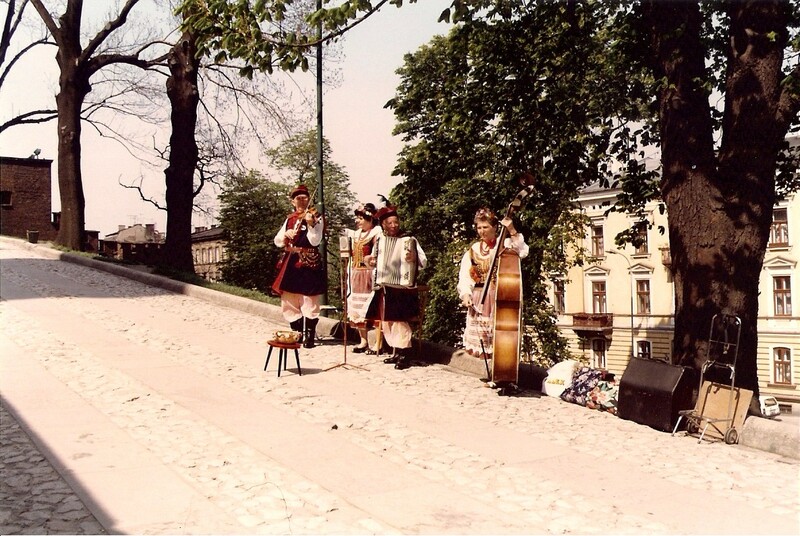 A gypsy folk band playing on a violin, a double bass and an accordion, regaled us with a rather beat up melody as we headed towards the gateway. The courtyard is surrounded on three sides by colonnaded galleries, reflecting the Renaissance Style that was in vogue at the time of the castle’s complete reconstruction by Sigismund I, in the first half of the 16th century. Of similar vintage, our Lahore Fort pales in front of Wawel Castle in every way, especially with regard to restoration and maintenance. The castle’s courtyard is where grand ceremonies take place, the last one being the internationally attended funeral reception for the late Polish President, heads of the armed forces and numerous other government officials who were killed in an air crash in 2010. While touring the royal apartments, we noted the considerable distance between the king’s and the queen’s bedrooms with some amusement, though this was no hurdle for Sigismund I who sired eight children from two wives! A rich collection of Flemish tapestries adorn the walls of the king’s bedroom, as well as the Audience Hall and the Senators’ Hall. An armoury and a treasury house a rich collection of royal artefacts and, are reminiscent of the Sikh Collection at the Lahore Fort. The tour was rounded off with a short visit to the Wawel Cathedral, which has been the traditional site of royal coronations and the resting place of Polish heroes. Of the several chapels that are adjuncts to the cathedral, the Sigismund Chapel stands out for its glittering dome of pure gold. One is reminded of Sunehri Masjid in Inner Lahore’s Kashmiri Bazaar, though its domes are of everyday copper. In the afternoon, we walked down to the nearby Main Market Square, to which are rooted many of Kraków’s colourful traditions. Large revelling crowds, horse-drawn carriages, fluttering pigeons, numerous flower and gift shops and the utterly clean streets provided enough justification for the title of the ‘World’s Best Square,’ conferred by the New York-based Project for Public Spaces. The famous Cloth Market, the Town Hall Tower and St Mary’s Basilica are some of the famous landmarks of the Square. Not far is the Jagellonian University, the oldest in Poland and one of the oldest in the world. Its Collegium Maius counts Nicolaus Copernicus amongst its students; he was the famous astronomer of the late 15th century who revolutionised ideas about the solar system with the sun at its centre. We were just in time at the Market Square to hear the trumpet which is blown at each hour from the tower of St Mary’s Basilica. 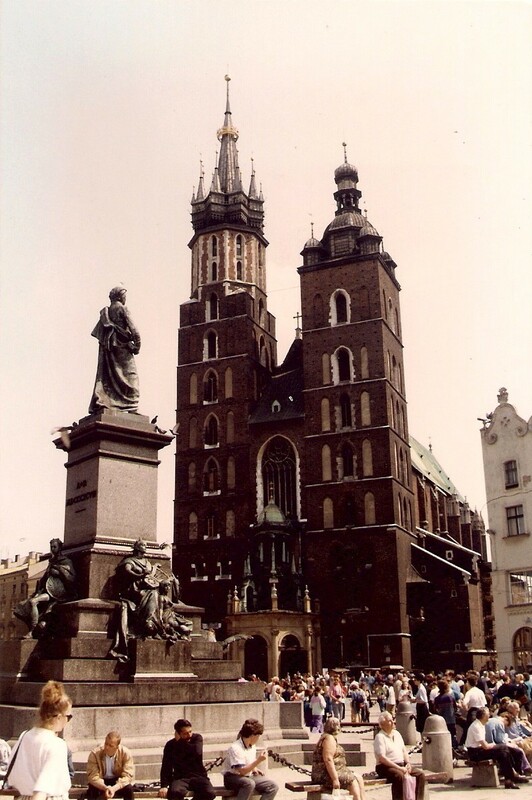 Legend has it that a guard on the church tower sounded the alarm by blowing the trumpet when the Mongols attacked Kraków in 1241; the city gates were promptly closed while backdoor evacuation of women and children took place. 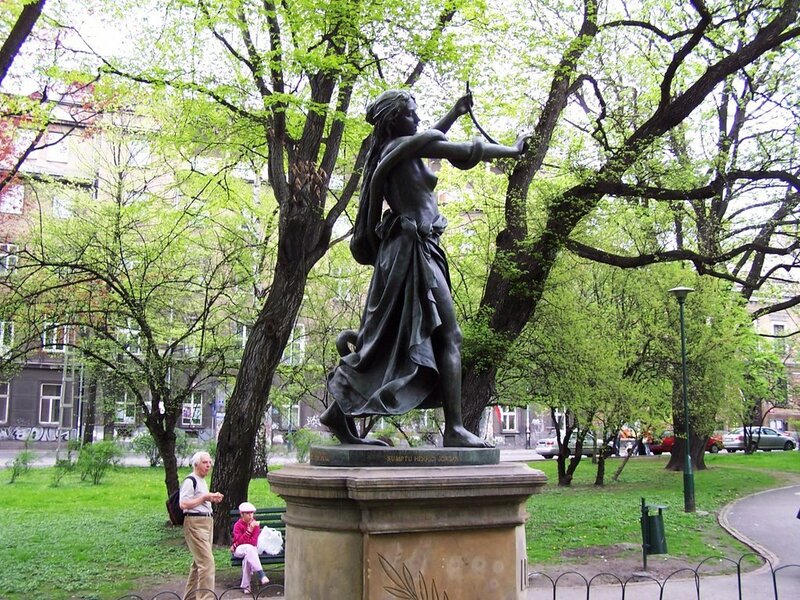 The trumpeteer, however, was purportedly shot in the throat by a Tatar arrow and was unable to complete the tune, which is why it now ends abruptly before completion. It was a theatrical re-enactment of a past event – no matter if it was part myth – and, had a subtle message of devotion to duty for everyone. We all were quite fascinated with the little drama. After a day of riotous sightseeing, the serene Vistula River meandering around Wawel Castle beckoned our tired eyes for a mellow glimpse. My friend Asif, ever eager to appreciate Nature, joined me for an after-dinner walk along the base of the Wawel Hill which is supposed to house a dragon’s lair. Suddenly, we caught sight of a tongue of flame lashing out of the mouth of a creature that did seem like a dragon from afar. Much to our amusement, we saw the metal sculpture spewing fire every two minutes. Steeped in myths and legends like all old cities are, we learnt the story of a rapacious dragon of Kraków, which was slain by a cobbler’s son Skuba, after everyone else had failed to stop it from gobbling the city’s fair maidens. As a reward, Skuba got the hand of the last surviving maiden – the king’s daughter. Of course, they lived happily ever after. Tourists can be so gullible, we thought, but nonetheless Kraków was doing well at their expense! While we were sitting on a bench watching the dragon in its fire-breathing act, we heard a strange noise that seemed to have threatening overtones. Not far was a crowd of fifty-odd jeering punks approaching in our direction. As they got closer, we picked out the beer bottles in their hands. Asif was quick to sense that the situation was likely to get nasty, so without much ado we got up and scrammed, giving no chance for a missile to be launched at us. The short trip to Kraków was rounded off the next day with a trip to an extra-ordinary place: the Nazi’s infamous WW-II Concentration Camp at Auschwitz. In less than an hour, we had driven right up to the gate displaying the famous sign, “Arbeit Macht Frei” (work makes you free). Following a group photo at the gate, we were assigned to a tour guide, one of the Israeli-sponsored college students who volunteer for such duties during vacations. We were taken to various internment barracks and some grisly locations like the gas chambers, crematoriums and firing ranges for summary executions. Roomfuls of exhibits included prisoners’ eyeglasses, shoes, headgear, etc. 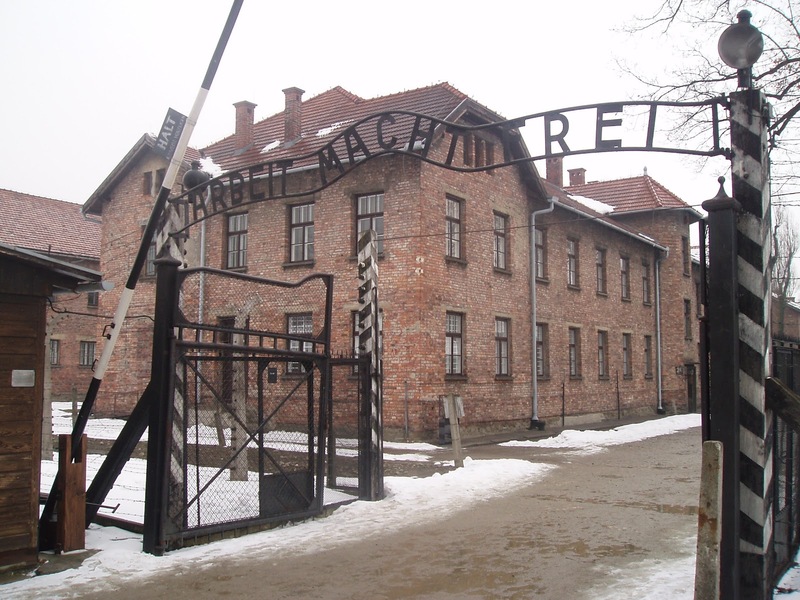 The camp was one large museum of human atrocities on an unprecedented scale. To us, it did not matter if some sceptics questioned the extent of the holocaust; to the suffering family, one death of its dear one meant the same loss as did a million deaths to everyone else. In an unusual gesture, our group laid a floral wreath at the Execution Wall, which was heartily approved by surprised on-lookers, this being a first of sorts by Pakistanis. After the visit to Auschwitz, we drove off to Warsaw across the undulating plains which exude a rustic old-world charm all its own. Horse-drawn ploughs, women in long skirts and scarves and, men in baggy trousers, were far removed from the chic urbanity of Kraków that we had seen. During our short stay, we had noted that Poland’s difficult history had a common chord with our tormented one. In that backdrop, it was easy to see some commonalities, and the one that stood out most was the similarity of Lahore with Kraków. No matter that our city is many times more populous and far less tidy, but the fort, the gardens, the leafy suburbs and a rich history are fair indices for staking a claim to being a twin city. That, we learnt is quite true, for Kraków and Lahore are indeed officially declared twins! Picture credit: Planty Park (first picture) by Tadeusz Weise. This article was published in the daily newspaper The News International, on 22 July, 2012.